When a text field becomes first responder, the system automatically shows the keyboard and binds its input to the text field. A text field becomes the first responder automatically when the user taps it. You can also force a text field to become the first responder by calling its becomeFirstResponder method. You might force a text field to become first responder when you require the user to enter some information. You can ask the system to dismiss the keyboard by calling the resignFirstResponder method of your text field. Usually, you dismiss the keyboard in response to specific interactions. For example, you might dismiss the keyboard when the user taps the keyboard’s return key. The system can also dismiss the keyboard in response to user actions. Specifically, the system dismisses the keyboard when the user taps a new control that does not support keyboard input. You can format the content of a text field using an NSFormatter object. The UITextField class does not provide built-in support for formatting its string using an NSFormatter object, but you can use the text field’s delegate to format the content yourself. To do so, use the text field’s delegate methods to validate text and to format it appropriately. For example, use the textField:shouldChangeCharactersInRange:replacementString: method to validate and format text while the user is typing. For information about how to use formatter objects, see Data Formatting Guide. The return key is disabled by default and becomes enabled only when the user types some text into the text field. 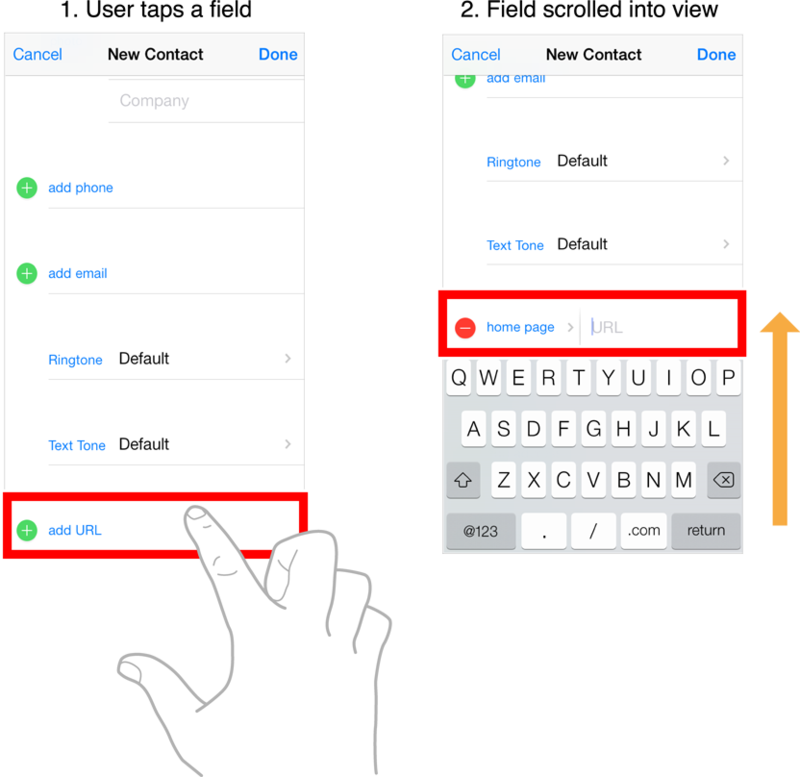 To respond to taps in the Return key, implement the textFieldShouldReturn: method in the delegate you assign to the text field.